Internet on the PC1 | Enide! Connecting an old computer to the internet is always fun! 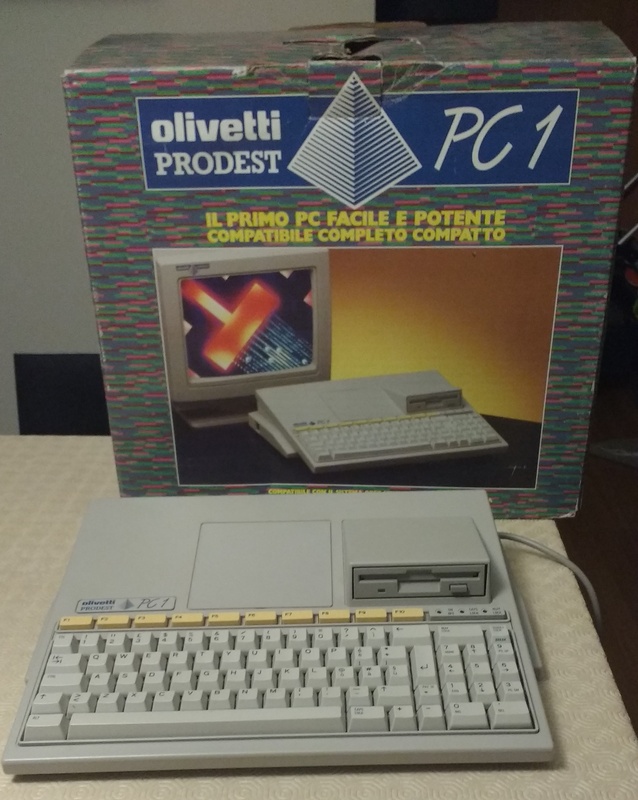 This page has all the instructions needed to connect an old Olivetti Prodest PC1 to the Internet, including pictures, videos and configuration snippets. If you're into old computers, retro computer scene or simply because you think that connecting a 30+ year old computer to the Internet is fun read on or just look at the pictures and watch the videos. I'm the proud owner of an Olivetti Prodest PC1, seen below in the next picture. 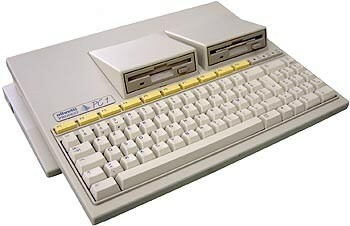 It was manufactured in 1987 and was not one of the most compatible computers with the original IBM PC. It's the single 720K floppy unit with 512KB of RAM, CGA graphics card, 1 parallel port, 1 serial port (not i8250 compatible) and 1 quadrature mouse port. It has no hard disk but has been upgraded to boot from a compact flash card using a XT-CF card and also with a V.34+ modem to connect it to the world. The modem is an old V.34+ model 1433VQH-X modem with a Texas Instruments chipset. It's capable of speeds up to 33.6Kbit/s and was manufactured 10 years after the PC1 was released. 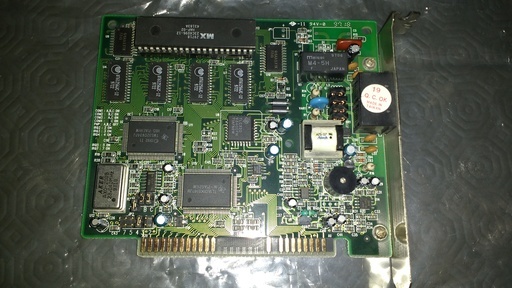 Although it's not as beautiful as when using the original expansion box to add peripherals, we can use the external expansion slot with an 8 bit ISA riser to connect the modem and the IDE XT-CF card. This picture shows the PC1 with all the extras and the mouse. 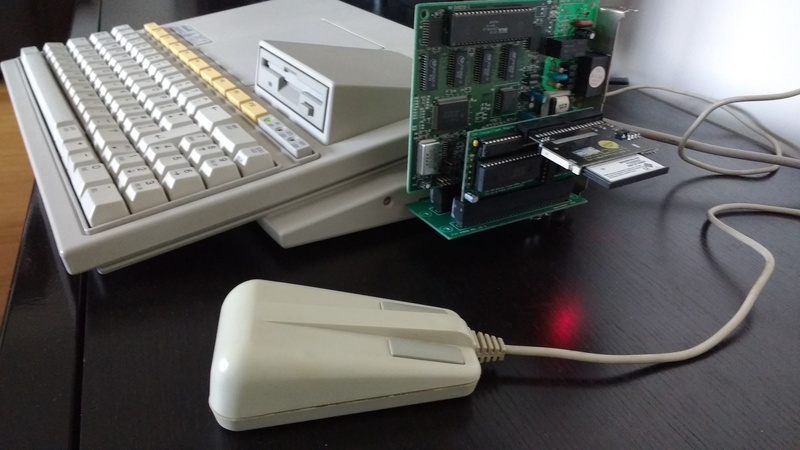 The mouse is from another old computer, an Amstrad PC1512, but it works perfectly with an adapter. Now we need to setup the software to connect this beautiful PC to the Internet. To connect the PC1 to the Internet we need two pieces of software, an ethernet class packet driver provided by DOSPPP and a TCP/IP stack with applications, provided by Brutman's mTCP. The base DOSPPP configuration requires a chat script to dialog with with the modem, connect it to the ISP number and authenticate with username and password. A working script with PAP authentication is show in the next box. You can copy it, edit the username, password and phone number and save it to a file named MYISP.CFG or anything similar that makes sense to you. connect "chat '' ATZ OK ATX3D111111111 CONNECT"
The modem should dial and connect to the PPP server on the other side. Of course I'm writing this page in 2017 and there are almost no ISPs left with PPP modem services. I will publish some tips on how to configure pppd on Linux at the end of this page. Now let's go on and configure mTCP. Let's configure mTCP starting by downloading the ZIP package from the author's website. Copy the file and unzip it anywhere on you PC1's hard disk, I suggest C:\PROGS\MTCP and will use it in the examples below. To run mTCP applications first we need to define the MTCPCFG environment variable pointing to C:\PROGS\MTCP\MTCP.CFG. This file defines the PC1 TCP/IP configuration. The IP configuration is located at the very end of the file but there are other parameters that affect mTCP applications like IRC, FTP Server, etc. The box below contains only the parts I modified from the original/example MTCP.CFG where I define the hostname, assign a static IP address and set IRC and FTP server parameters. # Be sure to pick a good hostname! 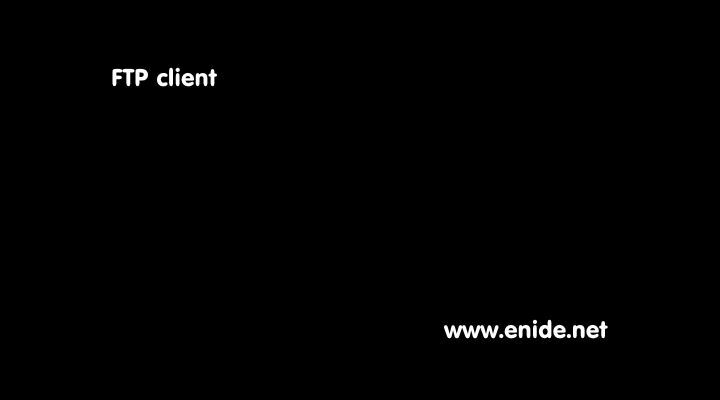 The following box contains a snippet of FTPPASS.TXT where we define the FTP Server directories, usernames and passwords. 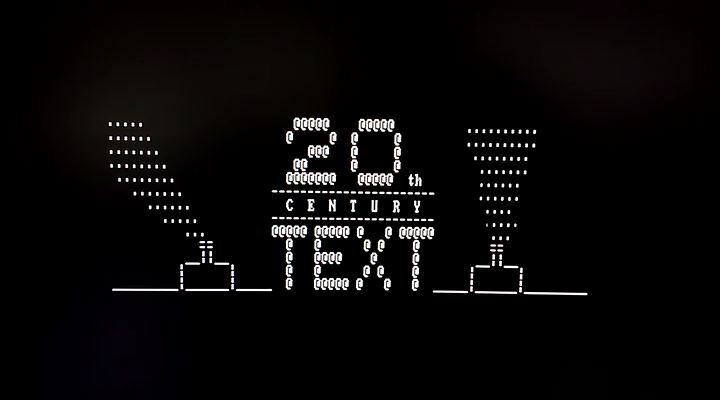 I'm using C:\TMP\FTPDATA as the root of the FTP server and C:\TMP\FTPDATA\INCOMING as the write directory for everyone including anonymous users. With all set we can start using mTCP's applications. Let's start using mTCP applications and put the PC1 online. Below are several videos showing how well the PC1 performs on the Internet. 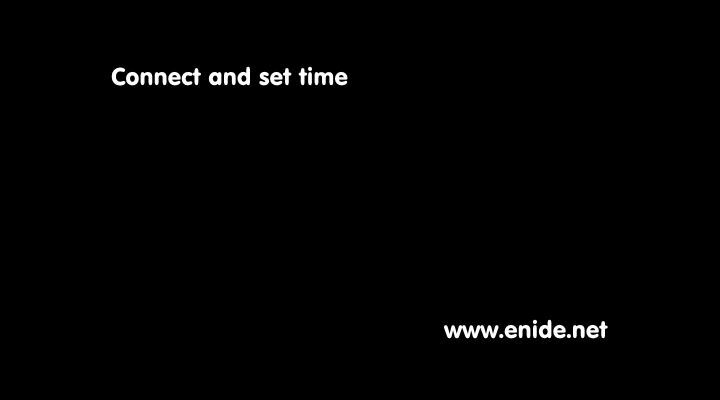 Connecting to the "ISP" (a local Linux server running pppd) with a BAT file that also runs SNTP and sets the PC1 time and date. Running a local FTP server on the PC1. An anonymous user will connect from the Linux server. 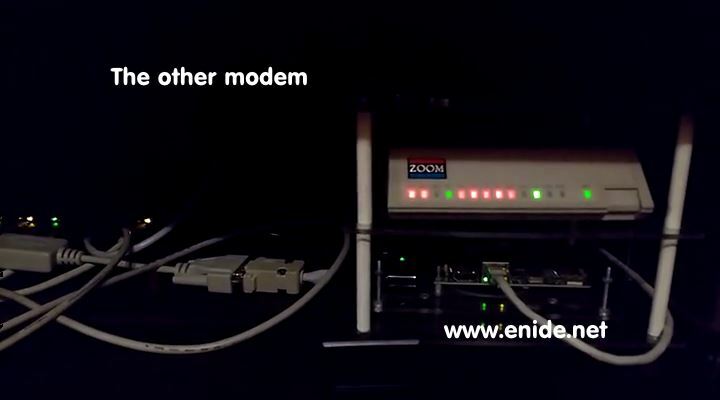 There are two options to connect the PC1 to the Internet, either via ISP phone number or to another modem attached to a local PPP server running on a local computer. It's 2017, there are no ISP's with Dial-up access anymore so the latter options is what will be explored below. The computer running the PPP server can be anything from a Raspberry Pi to an old PC with Linux. All you need is a modem that is supported by the kernel. Configuring the Linux server is straightforward: define credentials for PAP authentication, enable IP forwarding, enable masquerading for all traffic from the ppp interface and start pppd. The iptables line tells Linux to use source NAT on every packet from 192.168.77.0/30 going to 192.168.0.64, the IP address of eth0. Example line for PAP authentication, local IP 192.168.77.1, remote IP (on PC1) 192.168.77.2, DNS server 8.8.8.8, modem on /dev/ttyUSB0. When all is properly configured, you should get some output similar to the one on the image below, after the PC1 connects successfully. I'm using a shell script to create the line shown above but it's essentially the same. This page is a WIP, please check regularly for updates. Reviving the PC1 - Another PC1 page here at Enide! 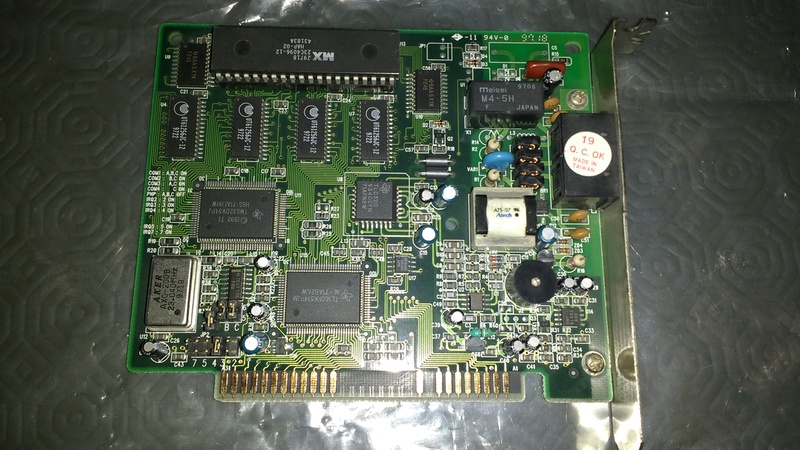 8 bit ISA Riser for the PC1 - The ISA Riser page here at Enide!